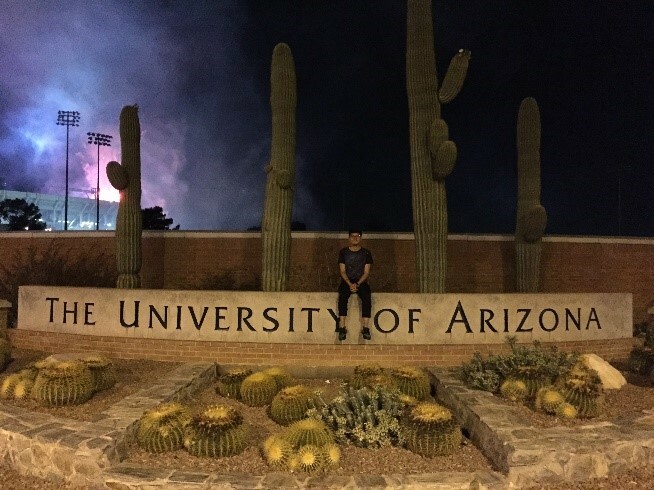 Muhammad Azim bin Mohd Alidin, a student from FASS, spent his discovery year at the University of Arizona in the United States of America. He admitted that one of the reasons why he chose Arizona at first, among other universities in the states, was because of its nice, dry and basically mild weather – nothing like the extreme weathers of New York! Muhammad Azim enjoyed being part of the big university with a student population of over 41 thousand. The campus is always crowded but he felt it had a very conducive learning environment. The students were friendly there – both local and foreign, and everyone seemed to help and learn from each other. Muhammad Azim also recalls how resourceful and knowledgeable the academic staff were and their warm and open attitude made it easy for him to approach them. The university itself boasts big-sized lecture theatres, equipped with high-tech equipment. A gadget that every student had to have was a ResponseCard NXT clicker (pictured here), a device used to record student's participation, for performance analysis and assessment in class. The device has the capability to respond to multiple choice questions, numeric responses, short answers and even essay-type questions. During his 10 months there, Muhammad Azim was involved in a lot of activities. He was part of the University of Arizona’s International Student Association befriending students from over 28 countries including France, Poland, Cuba, Russia, Turkey and Germany. He was also a member of the university’s Muslim Student Association and was involved in the Islamic Awareness Week, endorsed by the university and aimed to inform the community about Islam. 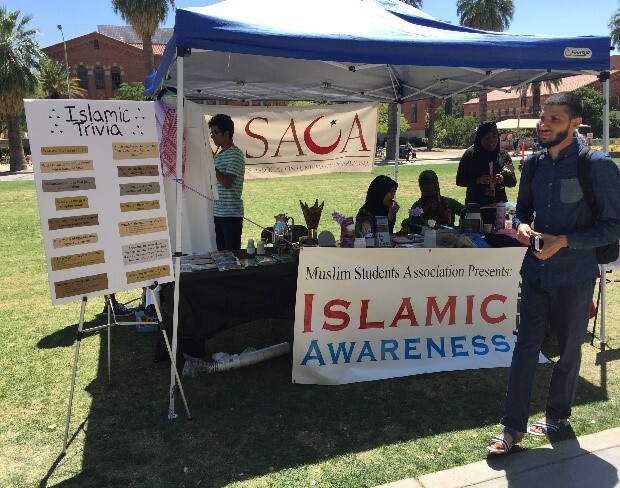 Activities were held on-campus and at Tucson’s community-owned mosque and the Islamic Center of Tucson which included inviting the public inside the mosque and having talks about Islam. Muhammad Azim took environment-related courses from various departments including Hydrology and Water Resources, Atmospheric Sciences, Earth Sciences and Astronomy. He explained that the modules he took at UBD equipped him with the prerequisites to take interesting courses like ‘Application of GIS’ and ‘Introduction to Oceanography’ at Arizona. Muhammad Azim shared a comfortable four-bedroom house with another Bruneian, also from UBD and two other students (two Japanese students in his first semester there and later two Americans during his second). Halal food is not difficult to find – there are two halal restaurants within walking distance from the University and you can go by bus to get to the local halal butcher. In sum, his DY experience was, in his own words, a life-changing one for Muhammad Azim and he would highly recommend the University of Arizona to his fellow UBD friends.